Thank you again Kelli. I’m impressed with your customer service and have mentioned you to other friends who are looking for a source of good grass-fed beef. We had our first taste last night...meat loaf that was to die for! The ground beef was just beautiful! A Healthy Earth. Happy Animals. Healthy & Happy People. Parker Pastures produces top quality, local, Beyond organic, healthy, and delicious grass-fed meats in a way that HEALS THE EARTH And honors the animals. Our passion for tender & delicious grass-fed and finished beef and for careful pasture management combine to create well-marbled, flavorful, healthy beef. Our daughter’s gourmet grass-fed lamb is born, grown, and grass-finished on lush, nutritious Colorado mountain grasses. She also offer hoggets and mutton. 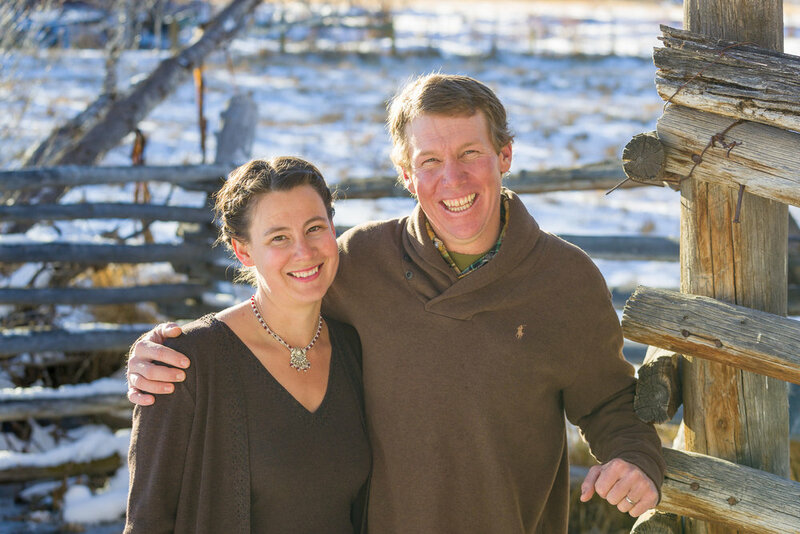 Married for over 17 years and ranching for even longer, Bill and I, with the help of our 3 children, are the owners, managers, and employees of Parker Pastures. Parker Pastures is a family owned ranching business that raises and direct markets world class quality meats. We are passionate about raising delicious, healthy, organic, and grass-fed beef and lamb in a way that BENEFITS AND CONTRIBUTES TO the health of the lands that our animals graze upon. Regenerative Agriculture is the next step up from sustainable agriculture, because the fact is, if we just sustain our degrading earth, we’re headed for a wreck. Through the groundbreaking work of Allan Savory, The Savory Institute, Holistic Management International, and many other brilliant minds, we now have the tools and knowledge to participate WITH NATURE to bring her back to her full and glorious abundance! What hope this should give to everyone! But the catch is, everyone (including us) must choose to vote with our dollars to support what Parker Pastures and many other ranchers and farmers around the world are doing to REGENERATE THE EARTH!